Sometimes your plants might need a little bit of a head start before they will be able to grow outside in your garden. So let’s talk about seedlings. My recommendation, especially for first-time gardeners, is to invest in seed starting kits. These crops might need just a little bit longer to grow before they are ready to be planted outside. Plants that have smaller seeds are especially important to start indoors because if they are planted outdoors they could be overwhelmed by the harsh environment. 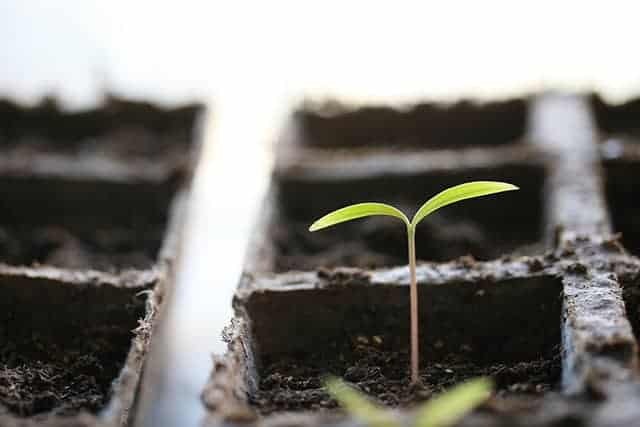 I definitely want all of your plants to be able to grow to their full potential, so it is important that you learn about the importance of seed starting. 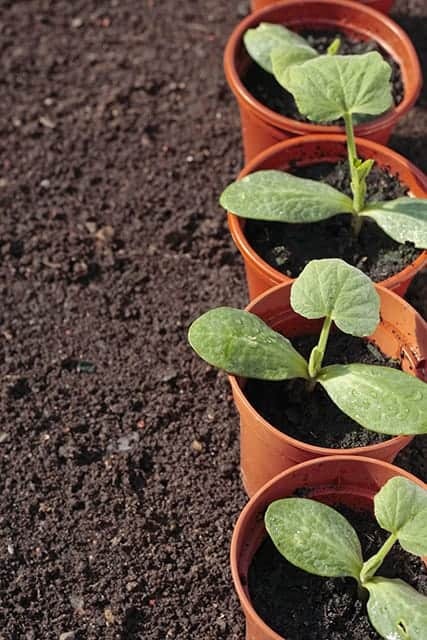 Seedlings are planted in individual pots and grown indoors before they are moved into the garden later after they have had a chance to develop. This ensures that your plant will have the best chance of growing and producing successfully! There a lot of seed starting kits out there to choose from. I can help you decide using the following tips and a list of the most popular starting kit products on the market today. 3. Maintaining the right amount of moisture in the soil throughout the seeds’ growing period. But what kind of seed container will take into account all of these? Don’t worry, you’ve got options. From milk cartons to paper cups and other biodegradable or recycled containers, the list goes on and on. 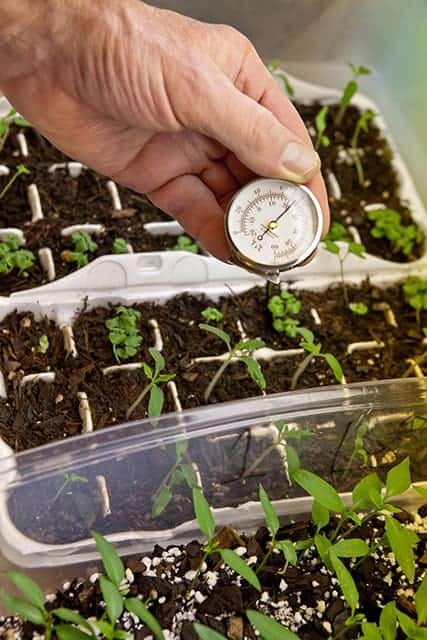 When choosing the right starting kit for your seedlings, it’s important to keep certain characteristics of your plant in mind, such as, how long your plant takes to grow, the root depth of the plant, and the size of the seed. Seeds vary from ones that grow very quickly to others that are more difficult to grow (or require a longer period of time to grow before being transferred to the outside garden). In plants that grow slowly, you need to maintain consistent moisture in the soil to enhance growth. You also need to make sure your plants get the right amount of light and air to avoid diseases. Certain plants need to have their roots intact when they are transplanted outside into the garden. The best seed starting kits for these plants are the specifically designed for plants with deep-roots. While slower-growing seeds such as peppers, onions, and perennial herbs will thrive in long-term, small housing, fast-growing seeds such as tomatoes and zinnias will outgrow smaller pots quickly. Because of this it is important to make sure you don’t keep fast-growing plants in small pots for longer than necessary because it could ruin your plant! Another characteristic that is important to keep in mind is the size of your seed. While planting a large seed is easy, planting tiny seeds can be difficult! I recommend that instead of trying to plant just one of these tiny seeds, you plant a small pinch of seeds. This makes it so much easier! After the plants start growing you can gradually thin them out. I have learned that gardening is a continuous learning process and that expertise comes from experience, time, and patience. The same is true in matching seeds to the right growing systems. Experiment with these different seed starting kits to find the one that works best for you and the plants you choose. These environmentally friendly plastic pots from GrowEase are 100% recycled, but they are also heavy duty. I love that this seed starter kit is designed with a self-watering system that prevents over and under watering. This makes seed starting SO MUCH EASIER, especially for beginners! This artificial lighting panel will help nurture your plants to grow with the right amount of light and warmth. This light panel comes with a stand and hanging kit that fits most standard size seed starting trays. This light panel uses a 45-Watt LED which makes it energy efficient, so the lights can last for up to 30,000 hours! This kit is a little mini greenhouse for your seeds. This tray comes with a dome that controls humidity. This helps to reduce water evaporation and keep the soil moist. The base tray also provides the seeds with warmth and maintains moisture levels in the plant bed. This compact 3-level light stand is perfect for starting seeds indoors. The plants are lit and heated and the lights can be adjusted to the correct height above the plants. I also love that this product made here in the United States! This professional greenhouse seed starter kit is made from recyclable plastic which is awesome and eco-friendly! Most importantly, the 25-cell count allows you to grow variety of seedlings. It is great for starting tomatoes and other vegetables indoors. Big things come in small packages, or so they say. Do you use a seed starting kit? If so, which seed starting kits do you recommend?